Comiket 92 was held last month, and as it tends to happen, many anime industry members released personal books compiling their work. And also as usual, we bought way too many of them. Our Patreon supporters were curious about the kind of material that creators put out in these events, so we’ll be showing you many samples of interesting books released this time around. This will be a more casual look at the work of anime artists than usual, so enjoy the ride! 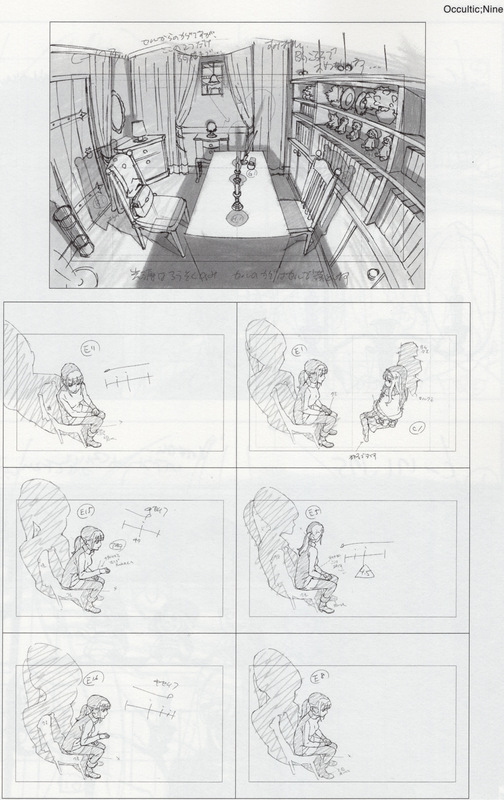 It wouldn’t feel right not to start with the book covering arguably one of the best animators of all time. 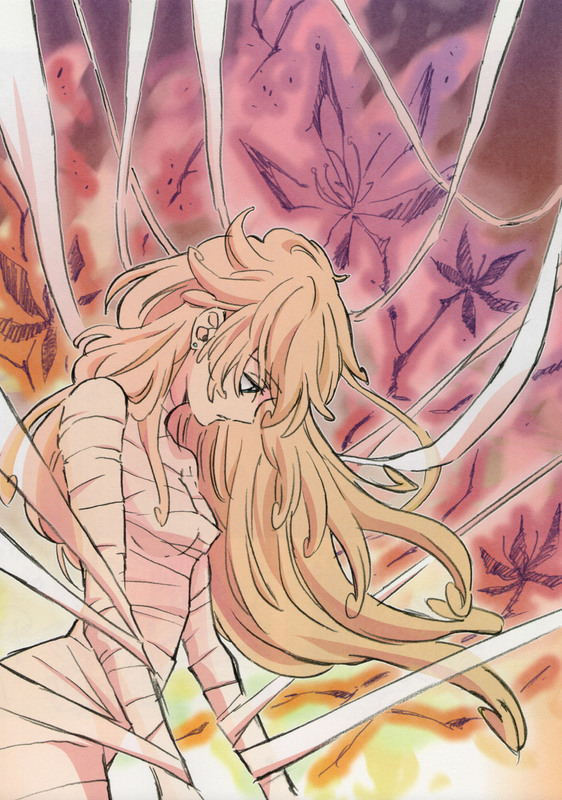 Mitsuo Iso is a living legend who is getting the acknowledgement he deserves in the form of another AnimeStyle series of books, much like Yoh Yoshinari and Tadashi Hiramatsu have received in recent years. 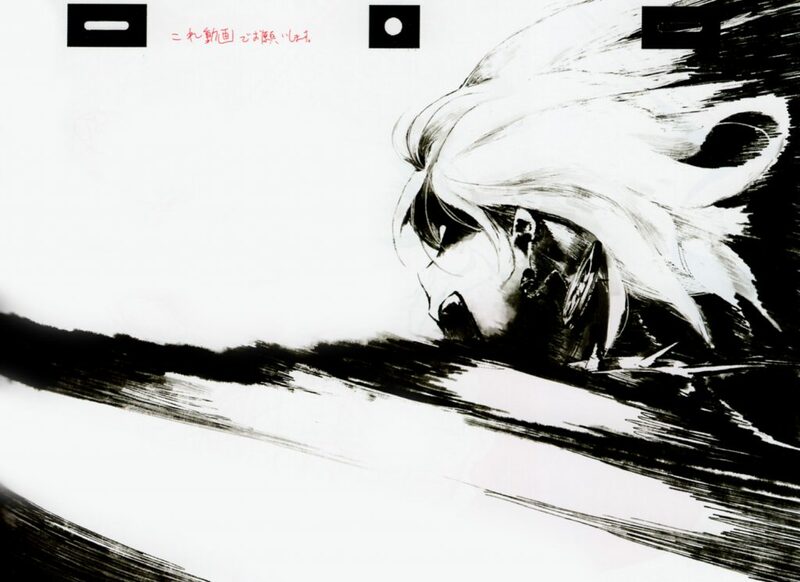 This first volume includes Iso’s animation on Gundam 0080: War in the Pocket (over 100 pages of it, clearly the main draw), Voogie’s Angel, Robotics;Notes, Giovanni’s Island, and the Gargantia OVA; an extensive look at a limited selection of titles, which opens up the possibility for many more books to follow up this one, as long as the reception is good and they can collect the materials – I know I’d love it if they were able to! It’s worth noting that his participation on some of those projects had been a secret until this book had been released…although not always a well-kept one, as there were rumors about his work on Giovanni’s Island ever since its release. 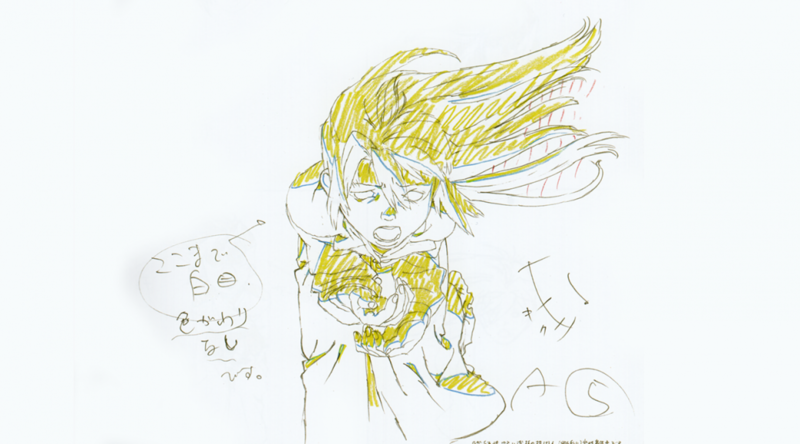 A while back, when talking with an acquaintance of mine, Iso didn’t only confirm that he had kept working on anime uncredited during his apparent disappearance, but even challenge fans to find what he had animated. As it turns out, he’s the one revealing it in the end. The approach of the book is very orthodox, barebones in presentation but very complete when it comes to its content. You get a thorough look into each frame and often the different layers that compose it, plus the timesheets as well. There’s a very short talk with Iso at the end of the book, but it’s clear that it’s not the focus. 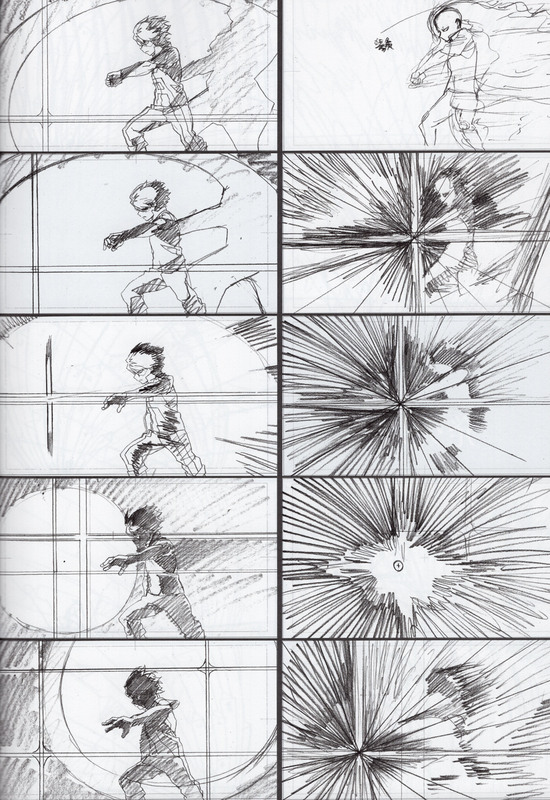 If you want a clear look at the work of a fantastic animator though, it doesn’t get much better than this. 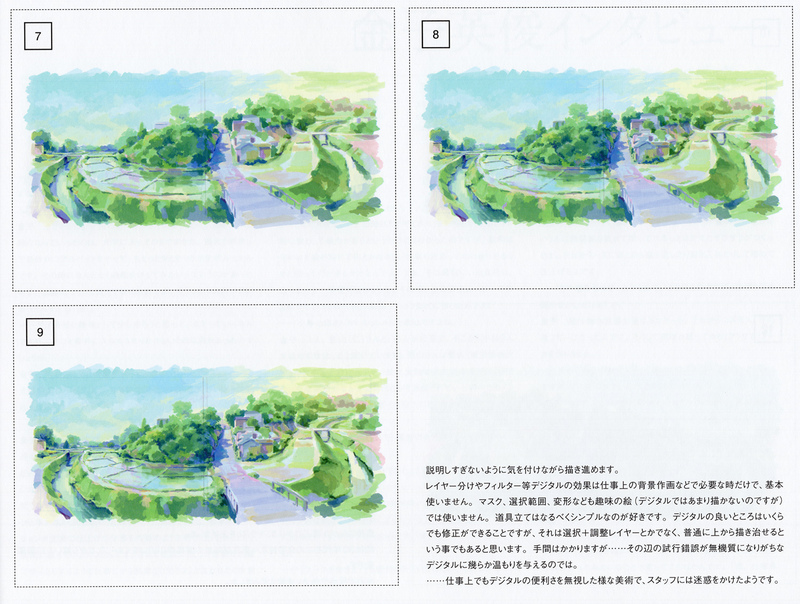 I should add that if you bought the book during the latest Comiket, you got an exclusive flipbook that features his work in Voogie’s Angel and Robotics;Notes, depending on which side you flip from. That extra, which as usual when it comes to the publisher won’t be featured on the version sold on Amazon, is simply very cool. Maybe I should lie to people who want it and won’t be able to get it now, but I can’t bring myself to. Come on, just look at it. I wanted to bring up this one not only because it’s a very neat book, but also as a sample of the lines between self-published work and the industry blurring; while this was personally released by Shun Enokido and Takahiro Sakazume as it exclusively covers their work, it has Aniplex’s official approval to the point that it’s on their store now. Not the first time a situation like this has arisen, since these animation compilations can range from cheap collections of drawings to fancy, industry endorsed material. The content itself is just about what you would expect, meaning damn impressive. 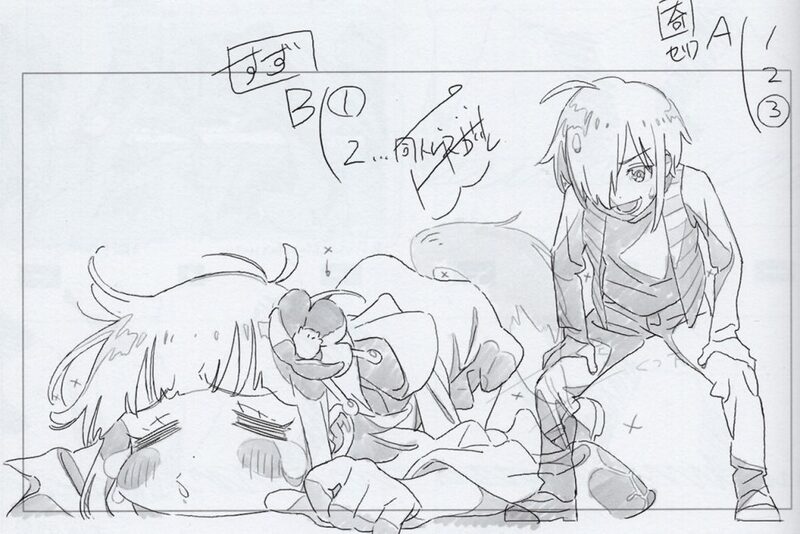 Enokido and Sakazume eventually took over the production of the commercials for Fate/Grand Order, delivering grandiose digital madness for 15 to 30 seconds at a time. Their only glaring flaw was that they had to pack so much content into such small segments, making it hard to appreciate or even parse what was going on. Being able to calmly flip through this book alleviates that problem for sure! 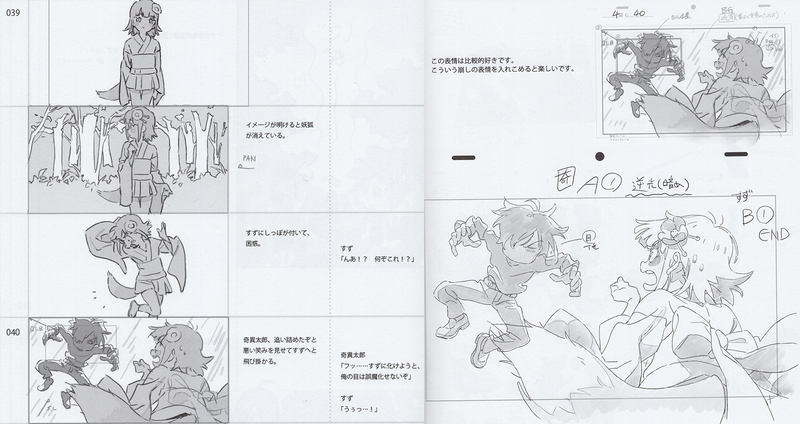 Not only does it include their storyboards, layouts, timesheets, key animation, and corrections, they made sure to leave notes about who drew what for each and every one – you can tell this was put together by sakuga fans. Another easy recommendation even if you’re not invested in this franchise, as long as you can get over the store that sells it at the moment not shipping internationally. On the opposite end of those deluxe industry books we find modest but equally interesting releases, like the ones Yutaka Nakamura keeps putting out. He regularly compiles a handful of illustrations alongside rough key animation he’s worked on recently, a combination that is as simple as it is effective. This time the inclusions are obviously his HeroAca output, which I assume is a very attractive prospect for most fans. Other pure animation books I got my hands on this time around, like the new volumes on Shingo Fujii’s and Takeshi Morita’s series take this straightforward route with a bit more polish, by featuring actual key animation and some timesheets as well. 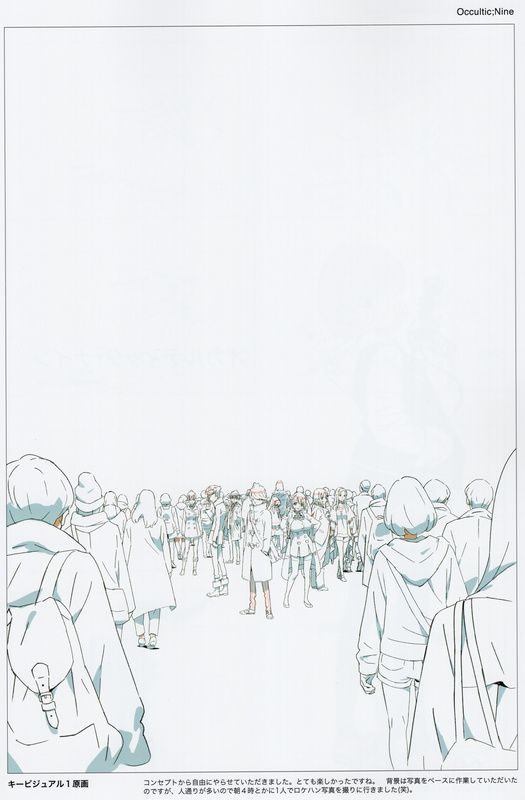 When it comes to simple, raw looks at someone’s work though, Nakamura’s approach serves its purpose. 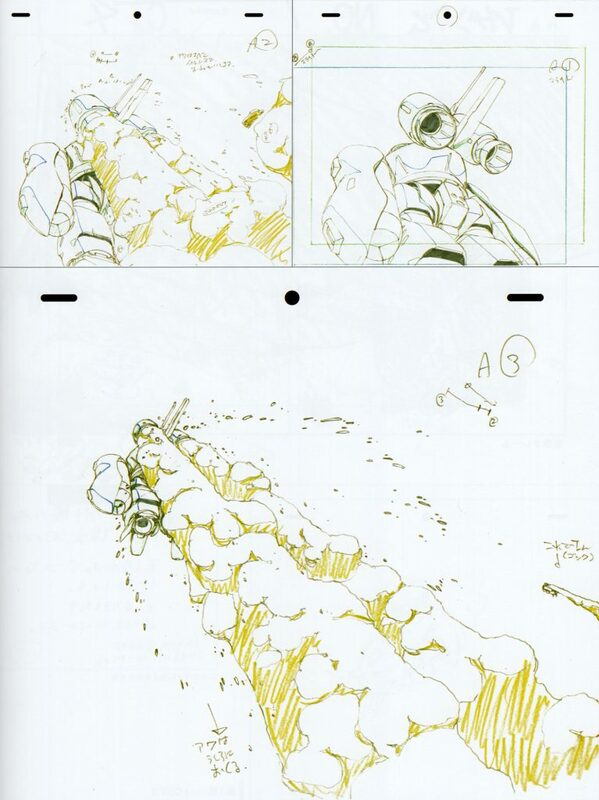 And of course, you get to see the work of one of the most influential action animators of all time. Not a bad proposition. 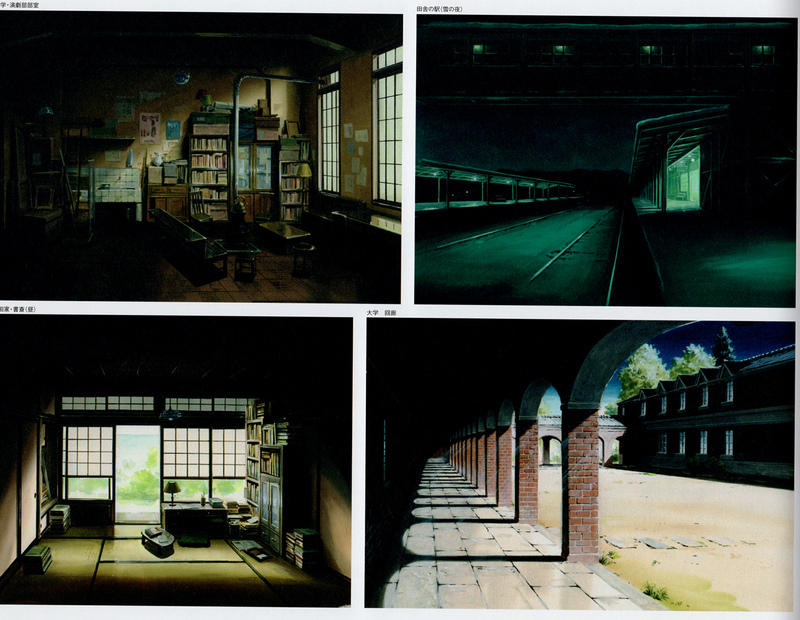 When it comes to recurring series, Tatsuro Kawano’s are a personal favorite. He gathers idiosyncratic young creators to compile illustration books as well, but the more robust releases are usually the ones exploring his personal work. 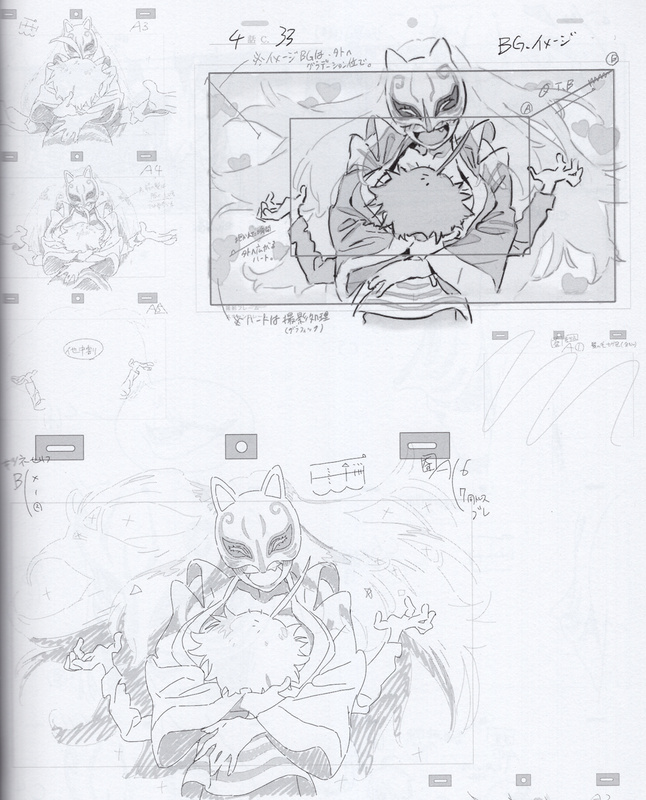 A big chunk of the release this time is dedicated to episode 4 of Kiitaro, his storyboard and direction debut that he also happened to fully key animate. 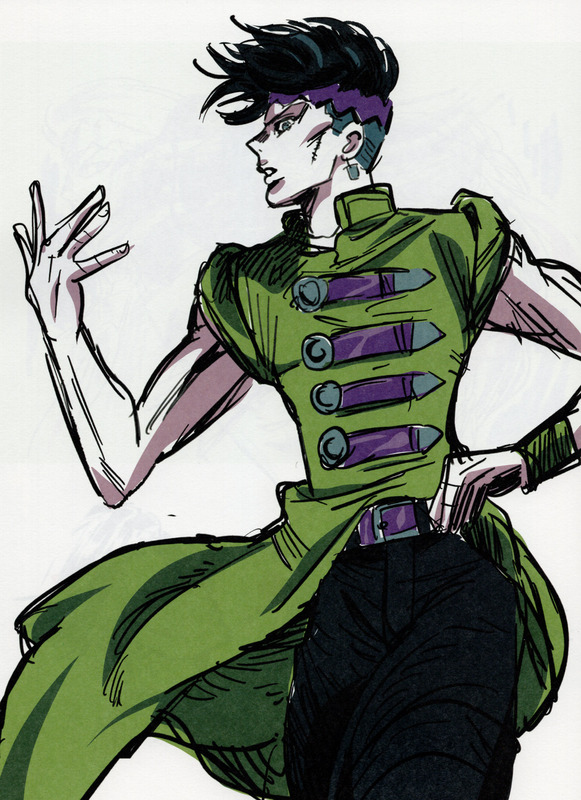 I’m a big fan of his art (those Showa era hands! 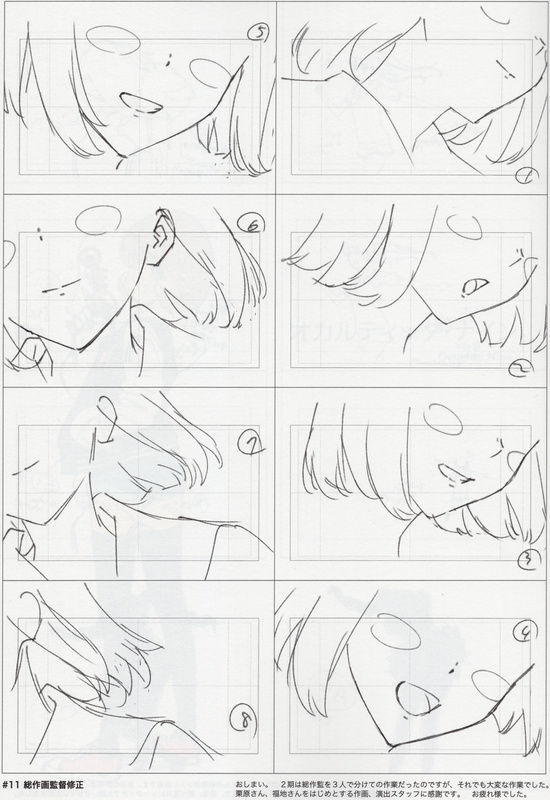 ), and getting to see the entire process from storyboard, to layouts, to animation is always interesting, even as it remains in the hands of the same artist. 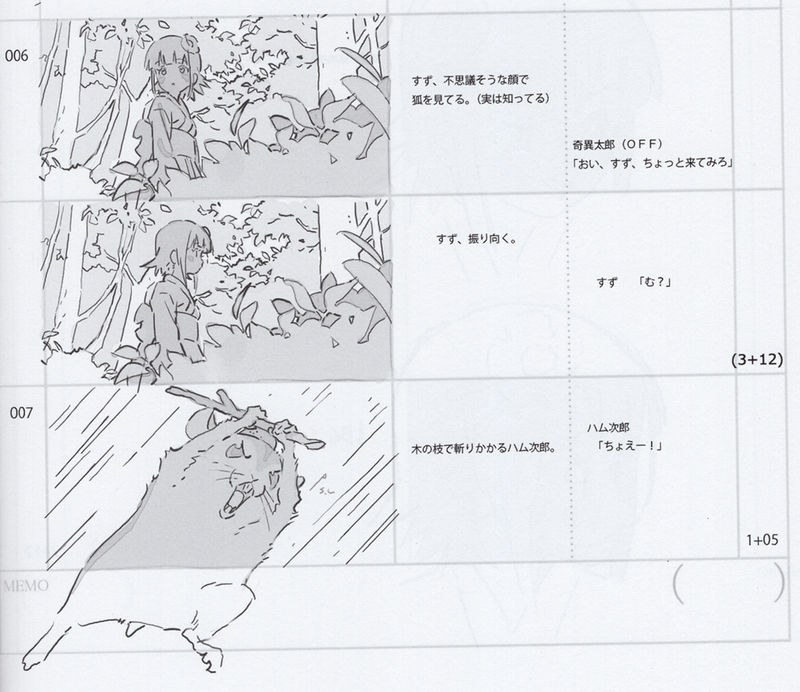 The entire episode is a delight, but it’s amusing to check the unrestrained storyboard and find the soft drawings that define his style. The rest of the book is dedicated to the cute McDonalds short by Studio Colorido that he contributed to, and even the one cut he animated for Aku no Gundan. Kawano is one of the most interesting digital artists on the industry at the moment, and this book offers a fairly comprehensive look at his particular kind of character animation. Good stuff! This is a bit of a weird choice for me to highlight, because I haven’t actually followed Saekano’s sequel, and the title of the book is an outright lie. 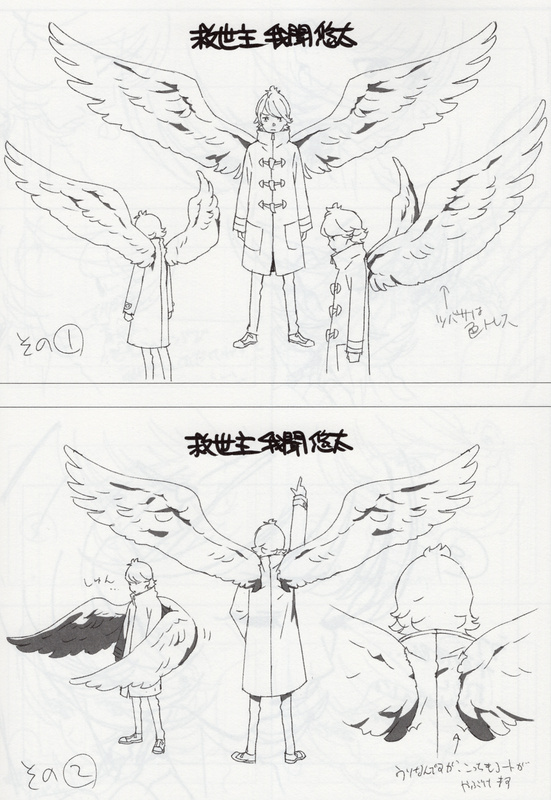 The truth is that Takase released a compilation of his design work and corrections as chief animation director in recent times, which means half of the book is actually Occultic;Nine; I don’t know if it’s his personal bias or if he just thought the title was so unpopular he shouldn’t mention it, but it’s an amusing detail nonetheless. And curiosities aside, it’s a very worthwhile get. Takase is one of the most interesting up-and-coming designers in the industry, not just because of the personal artstyle he’s developing but also his thoroughness as supervisor. 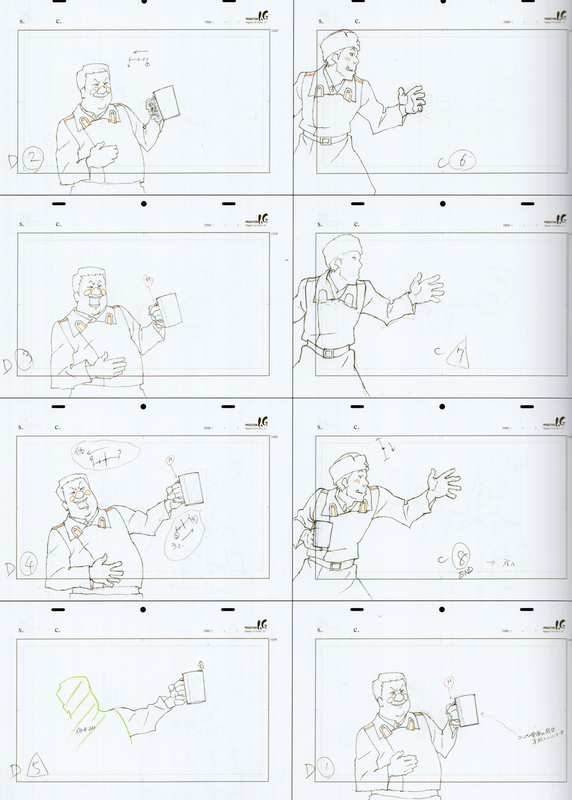 This book includes his work on key visuals, designs, plus corrections on all episodes and even opening sequences. 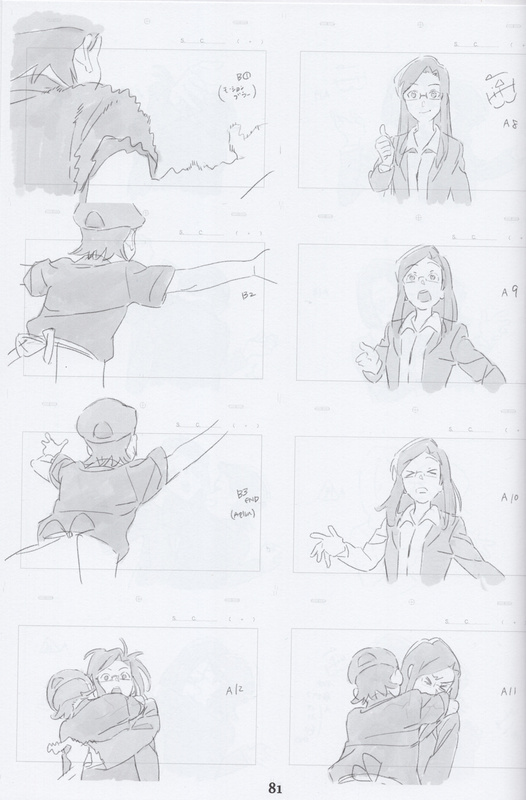 It’s not just the material that is complete too, since he leaves countless comments regarding the circumstances of each moment in the projects, referring not just to the animators in charge but the production pipeline as a whole. I find the second half particularly interesting, not because I’ve actually seen Occultic;Nine (since I have a troubled relationship with the title) but because the show’s striking layout work is always interesting to look at. As obvious as this will be for many of you, it’s probably worth noting that tons of animators use these occasions to release books that aren’t actually about animation; designs, drafts, illustrations, you name it – they are artists after all, and so many of them excel even in still form. This time around Terumi Nishii (who you can support on Patreon!) released her second Power of Character book, which includes the kind of illustrations you’ve likely seen her sharing on Twitter. 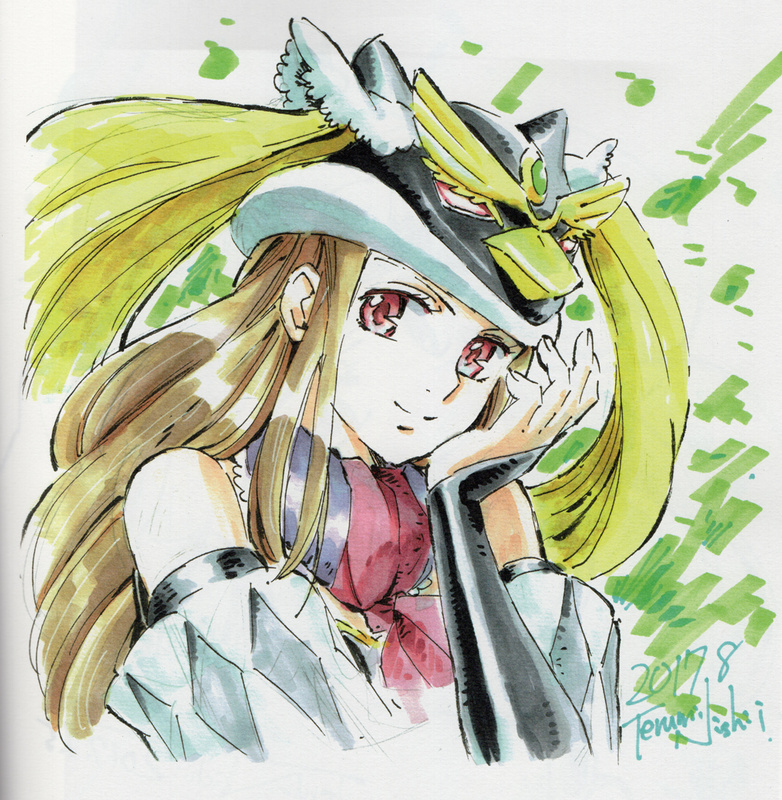 Titles she’s handled the designs for like Jojo and Penguindrum, franchises that involve her friends like Precure, and even her personal work – definitely not a bad choice if you want to see her art printed! 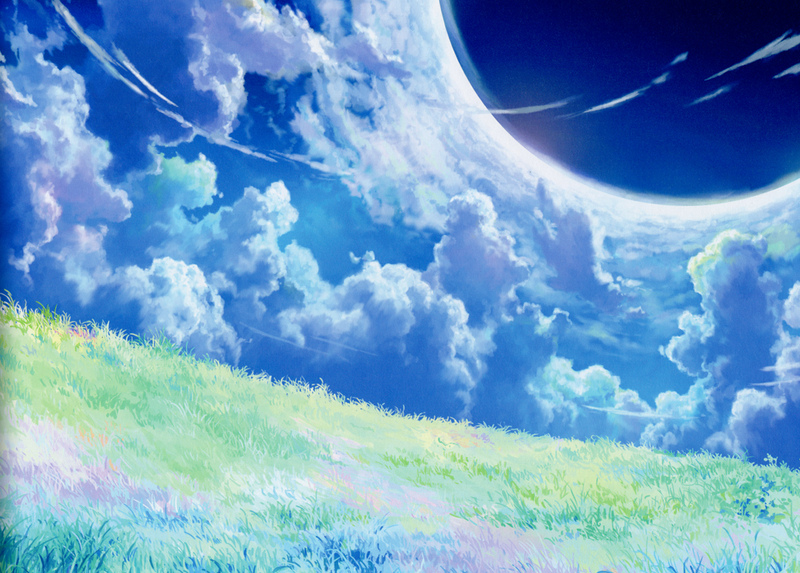 Manabu Nii followed a similar route of combining titles he’s been personally involved with like Grimgar, Sangatsu, Garakowa, and New Game, with many more that he simply enjoys drawing fanart for. 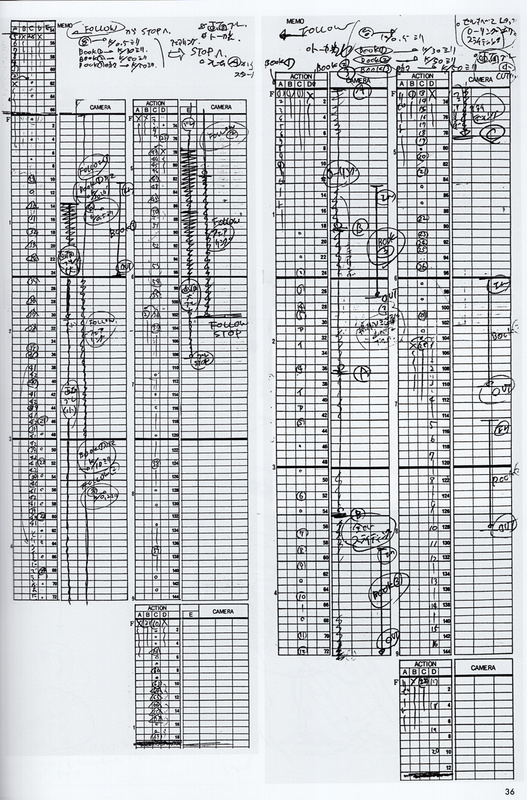 The release itself is a neat detail as well, since he split his analog and digital drawings in different volumes and connected them both through his beloved Euphonium. 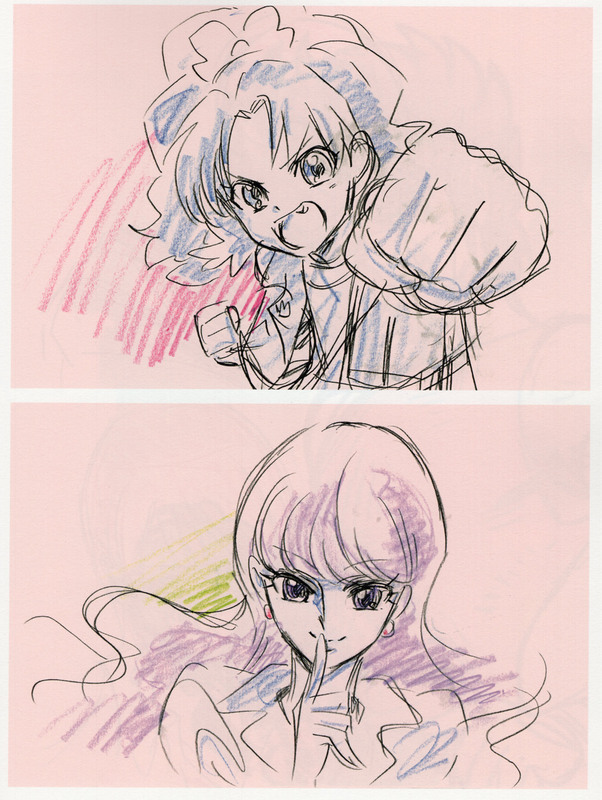 And if these collections of art that was already available don’t do it for you, there’s always more exclusive content like this booklet by the one and only Megumi Kouno. 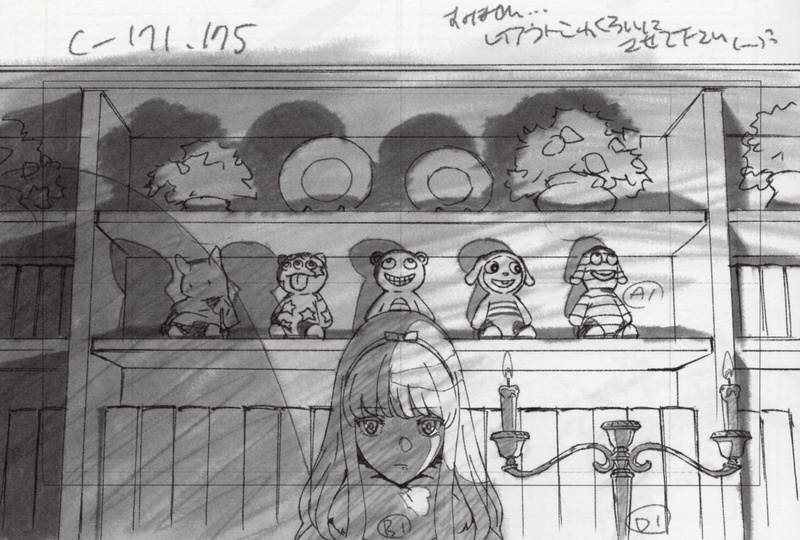 The decision to print it on toilet paper from WW2 is questionable, but being able to see her rough sketches and the original drawings for some of her popular illustrations makes it well worth it. I saved this one for last to show the range of self-published work that you can see at these events. 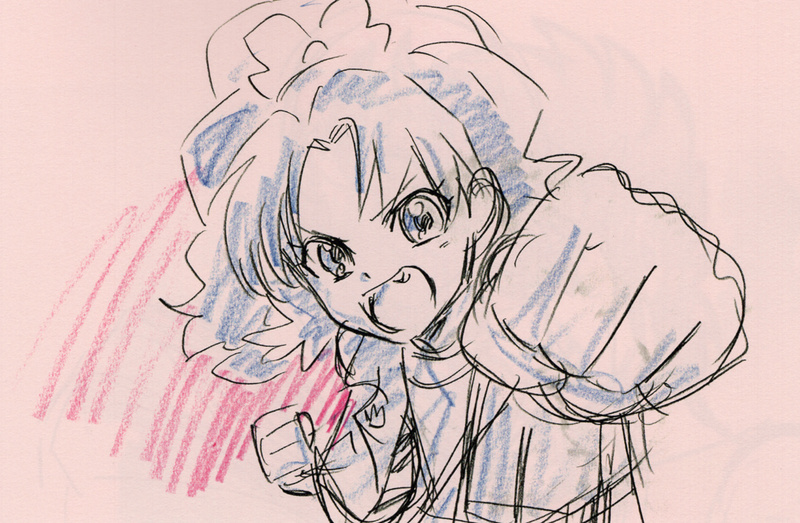 When it comes to anime creators, it’s obviously easier for animators and the likes to put together books that fans would like to buy, but that’s far from everything. Directors, scriptwriters, 3D and background artists, all sorts of professionals enjoy having a chance to share their work…and make some money off it, since this is hardly a profitable industry. The case I’ve chosen to highlight is very special however, since it serves as a commemoration of a beautiful career. As we reported months ago, Atelier BWCA had to close down since its owner and main art director put his health at risk by working too much. Ryosuke Nakamura, whose circle also published another neat set of Mieko Hosoi illustrations, honored his good friend by publishing a book that covers his striking background work. 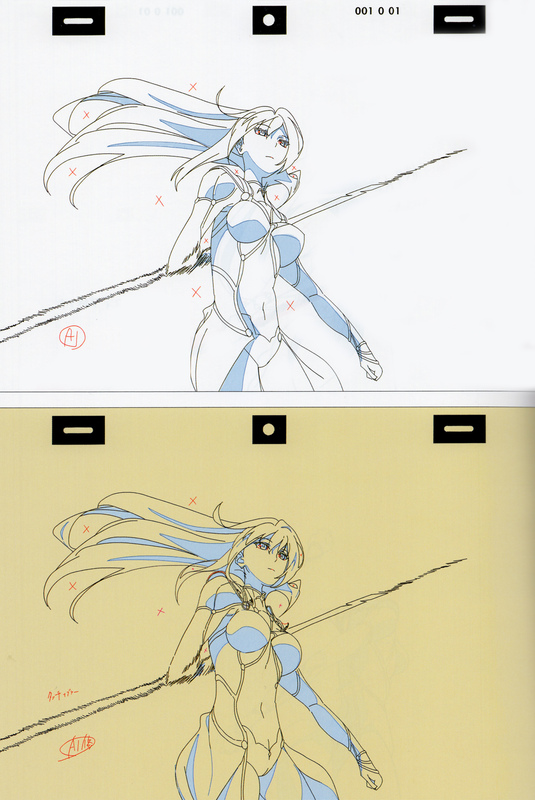 Grimgar, Hashire Melos, Aiura, even Kaneko’s personal pieces and workflow he follows. If you can get your hands on it, this book is the goodbye that one of the most talented art directors in the industry deserved. 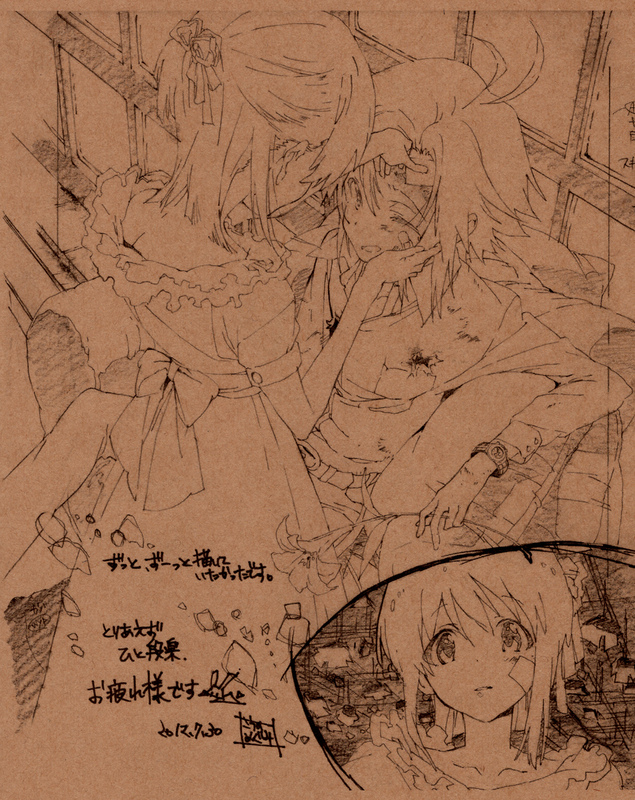 That’s most of what we got our hands on this time, but far from every worthwhile release on this summer Comiket alone. I’d have loved to get the new books published by Toya Oshima’s circle, Shuichi Iseki’s, ちな’s illustration booklet, and so much more. Hopefully this serves as a decent introduction to what these releases are like…and I apologize if this is the start of questionable spending for you! I have Iso’s book already pre-ordered. Would love to see more articles like this. 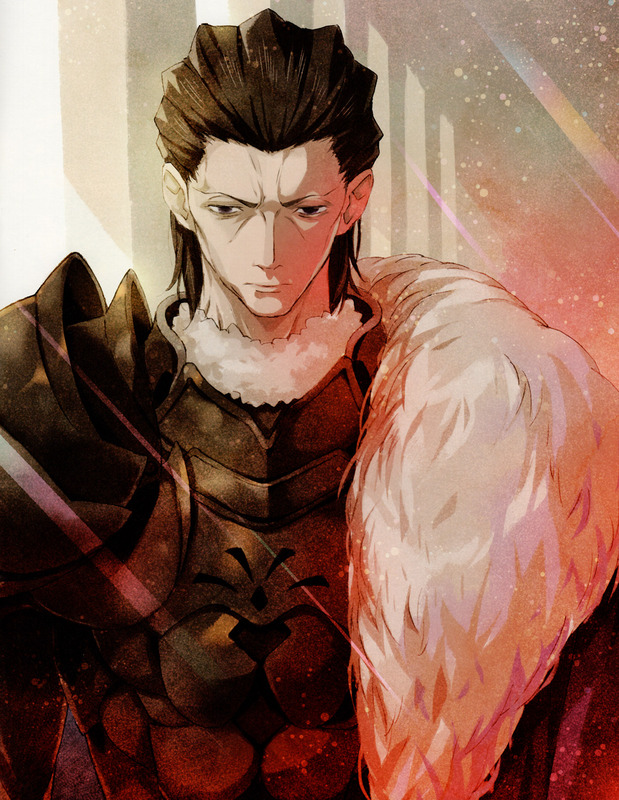 Its hard to keep track of what new books are coming out if you can’t read Japanese. Maybe monthly/bimonthly rundowns would be good? I don’t mind writing these, especially when it comes up to things I’m buying anyway. Would be nice if you can link to the first party information detailing the books too, where possible. There’s links to buy the ones that are still available and one of the sold out ones flat out wasn’t detailed beforehand but sure, let me add some extra links for curious people with JP sources. Need to add the necessary names to Mandarake filters… But thanks! Also just another request for improvement, it would be pretty awesome if a blog post like this happens before ket rather than afterwards, LOL. Ahhhhhhhh my wallet is screaming atm. 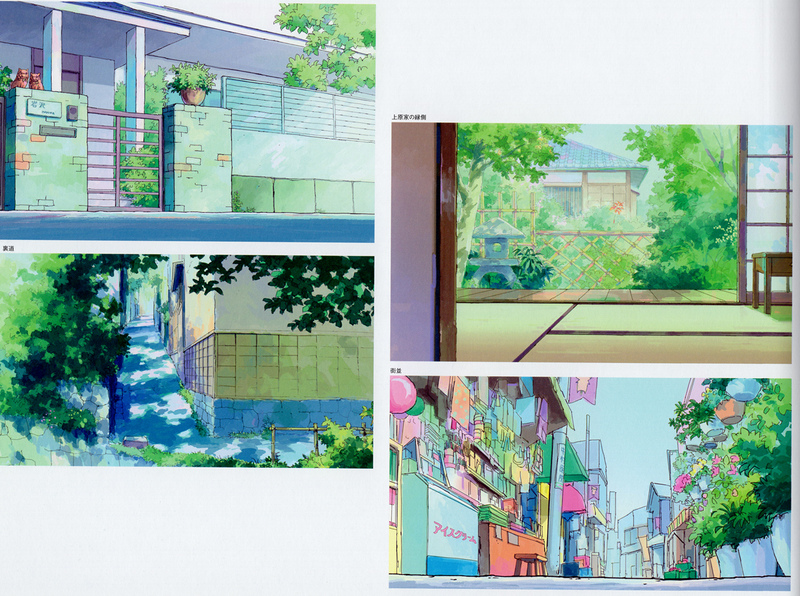 Also kVin you should make this segment a regular thing when you find good animation books to share. 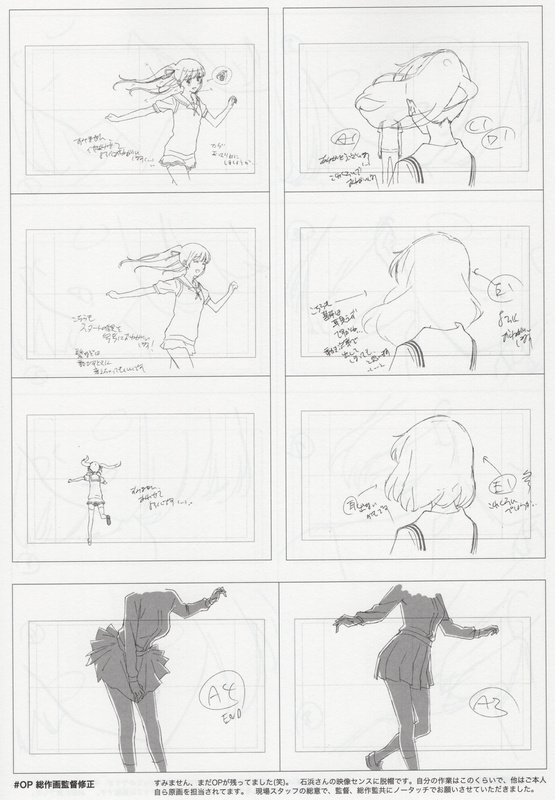 Are the storyboards for those FGO PVs digital? And if so, is that very common? 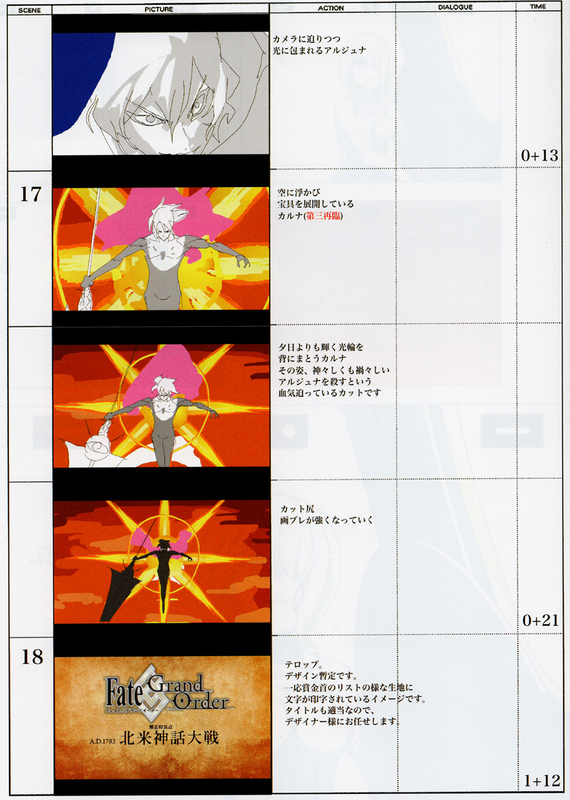 I think that’s the first time I’ve seen storyboards colored like that. They’re digital yeah. It’s common amongst this crew, still not for the industry as a whole. 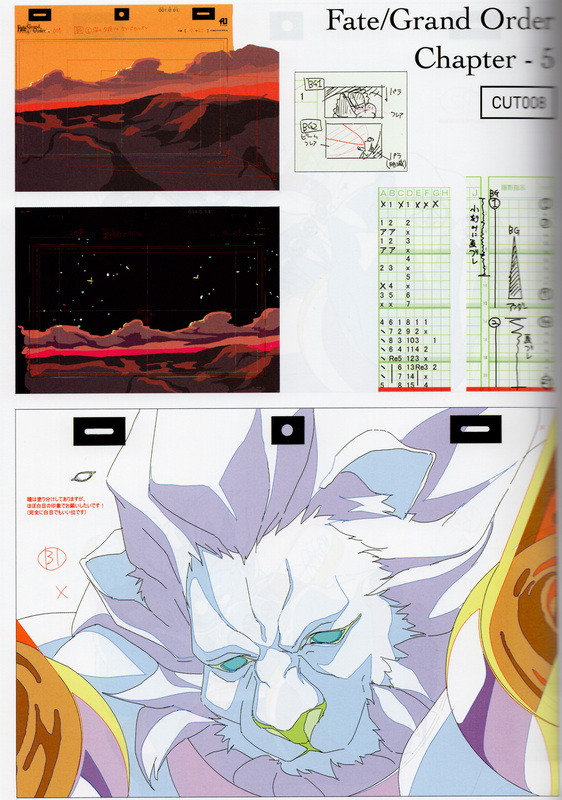 Some digitally oriented big movie directors do it already (people like Shinkai and Kamiyama, even Yonebayashi now), and on TV it’s limited to the handful of companies and individuals that you’d expect – Tatsunoko sphere, webgen crews, etc. Even older people are trying to move towards that though, because it’s simply…better. Thanks! I really like them too, since you get to see sides of the artists that are rarely surface. When there’s no designs to adhere to, no supervision whatsoever, their individual tendencies leak through in very interesting ways. I’m jealous that you got that by the way, those are some of the releases that I couldn’t get my hands on! Really wanted to get the Splatoon tribute too. 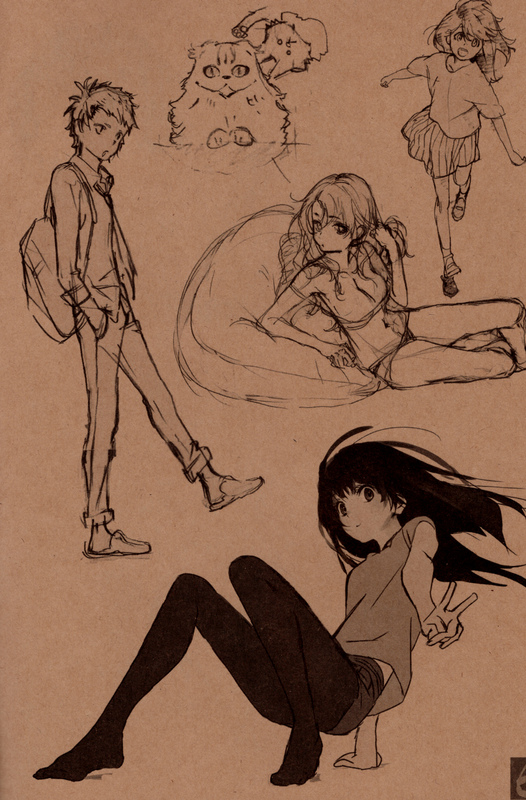 I’ll try to scan more (soon-ish? ), but at least in the case of the atmosphere circle some of their books first sold at Comiket are later available NEW at Keibunsha’s web-store (http://www.keibunsha-bambio.com/shopbrand/193/O/). Unfortunately, and as it happened with SPLT vol.1, a tribute book based solely on a property like Splatoon isn’t gonna be made available outside of self-publishing events, but HKNK might totally be there in a short time from now. 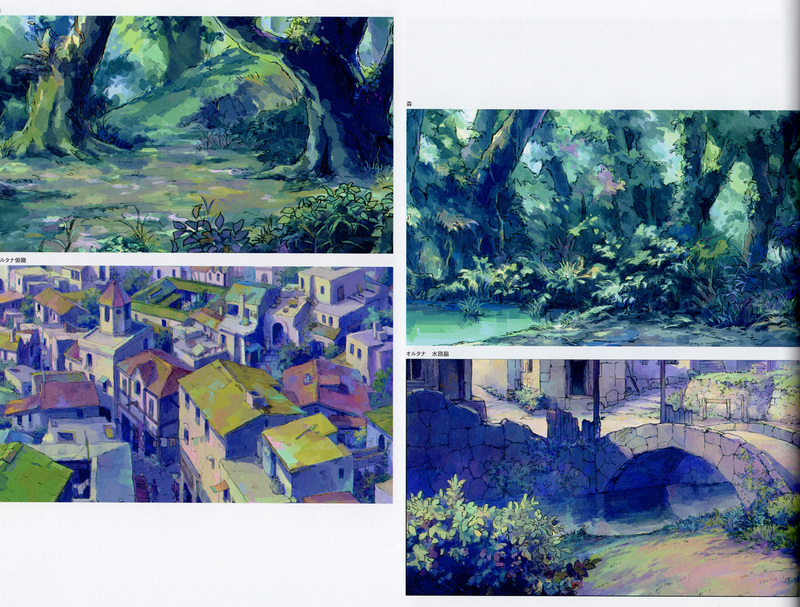 Where can i get nakamura’s artbook? If there’s available online..